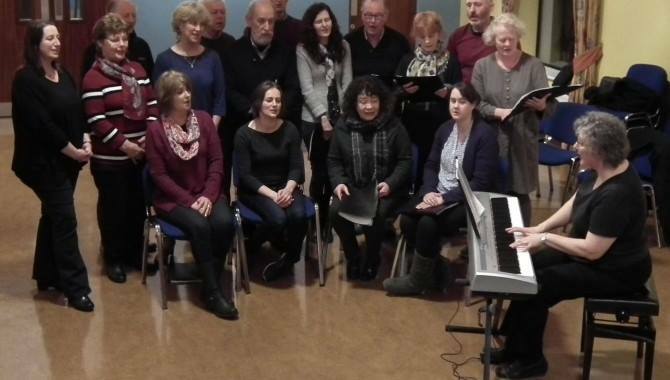 The Orpheus Choir is an adult, mixed-voiced, regional, community choir based in Fermoy. It is an unaffiliated choir with a refreshing difference, specialising in the performance and promotion of the great repertoire of secular choral music of the 18th, 19th, 20th and 21st centuries. The choir has a highly varied programme of folk, classical and contemporary choral repertoire. The Orpheus Choir was formed in 2005 with members hailing from North and East Cork to West Waterford. 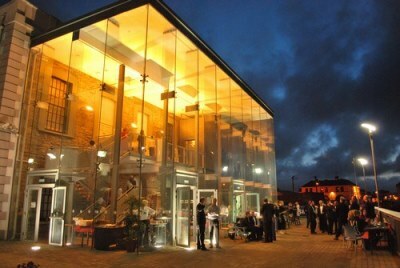 Since its inaugural concert at the opening of the 2007 North Cork Classical Music Festival, it has performed many very successful concerts in at venues in Fermoy and surrounding area i.e. Cappoquin, Castlelyons, Castletownroche, Conna, Kildorrery, Kilworth, Knockanore and Mitchelstown. In 2015 it celebrated its 10th. anniversary with an Opera Gala Concert in St. FinBarre’s Cathedral in Cork City. On Saturday 18th. November, The Orpheus Choir, with its Musical Director Hilary Reynolds, will be returning to Youghal to perform in a fund-raising concert in support of the RNLI Youghal Lifeboat Station. The choir’s first visit in 2011 was at the beautiful St. Mary’s Collegiate Church, for this performance however, the event will be at The Mall Arts Centre adjacent to the Lifeboat Station. For any additional information please contact Yew Wood Venues at 087 9593276.